Personal home rentals skyrocket during Derby week in Louisville. Whether you are a professional at monetizing your home or just getting started, here are some tips from Interior Designer Page Thomas to make sure your guests feel at home and you get the 5-star review you deserve! Use cool colors when possible. Blues, greens and violets provide a more calming and relaxing environment. 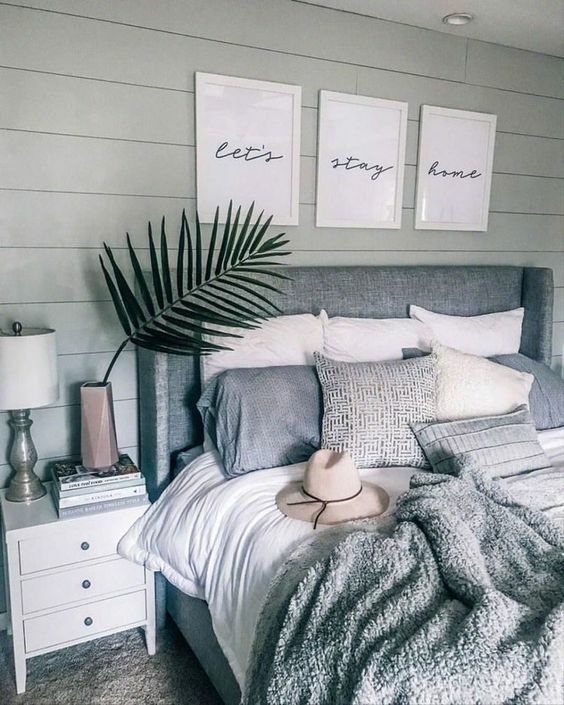 Soft colors help to make the vacation rental feel more like a retreat! Use them for wall color or accessories. Incorporate local artwork within the space. This gives out-of-town guests a taste for local culture and most people appreciate the personal touch. Our favorite go-to-gallery for local artwork is Revelry Gallery. From bedding to towels, these are bleach cleanable and usually go with any color scheme. Select durable and stain resistant furniture fabrics when possible. Polyester is a great fabric that holds up to wear and makes stain removal very simple. A slip cover sofa is also a great idea, because you can simply wash when it gets dirty! Mix in lots of throw blankets and pillows. It simply makes everything cozier. You want guests to feel like this is their home away from home. I try to add a couple to every living and bedroom space. Rather than using glass vases or sculptures, try accessorizing with hardback books or decorative baskets! It leaves less room for error. Real or faux. 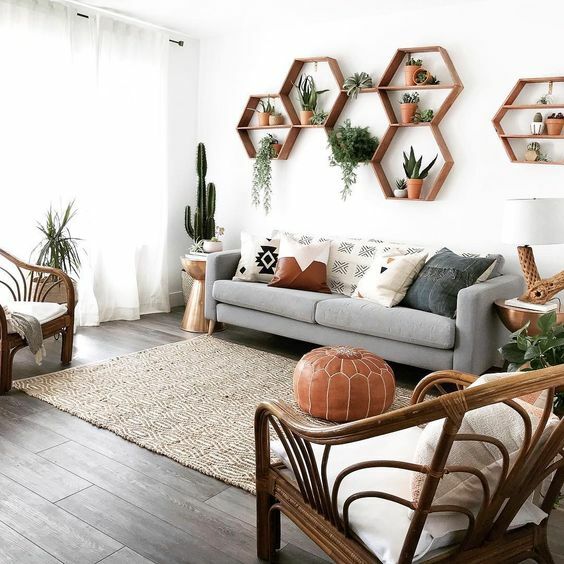 Adding plants provides color, texture, and softens up the space. Plants can make a bare corner feel complete and gives the guests the impression that you went the extra mile. Incorporate a full length mirror. Guests appreciate this so much! Who doesn’t want to check out their full outfit before heading out the door? Especially if they are going to Derby! Full length mirrors provide function but can also be used as a decorative element and make a small space feel larger. Want professional help to get your home ready to rent? We’re here to help!